I used white wool felt for the tip of the foxes' tale, just to make it pop out in all this white!! And also I've up-cycled an old uniform shirt for the foxes' body!! I'm so sorry once again for the poor quality pic. I'm sure that you can't tell very well, that it's a striped red/orang-y light cotton fabric the foxes' body!! Love love love love this quilt!! I won't stop saying it!!! I'm leaving you with a sneak peek on the fabric book...have to get back to my sewing machine!!! P.S.2 ohhh ohhh ohh!! And also, not to forget!!! 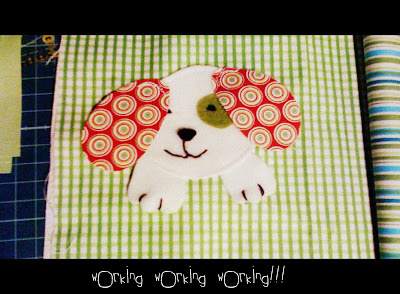 my eye caught a tutorial on how to make this awesome pillow!!! Already bookmarked and on my to never ending to do list ;) Now I just have to find some cute fabrics for it... any suggestions please?? Oh Eleni!!!! That quilt is marvelous!!!!! I am hoping to finish up my have-tos so I can make this for a gift. It's incredibly sweeeet!!! And hey--2 shout outs in one post? Thanks, my darling!!! 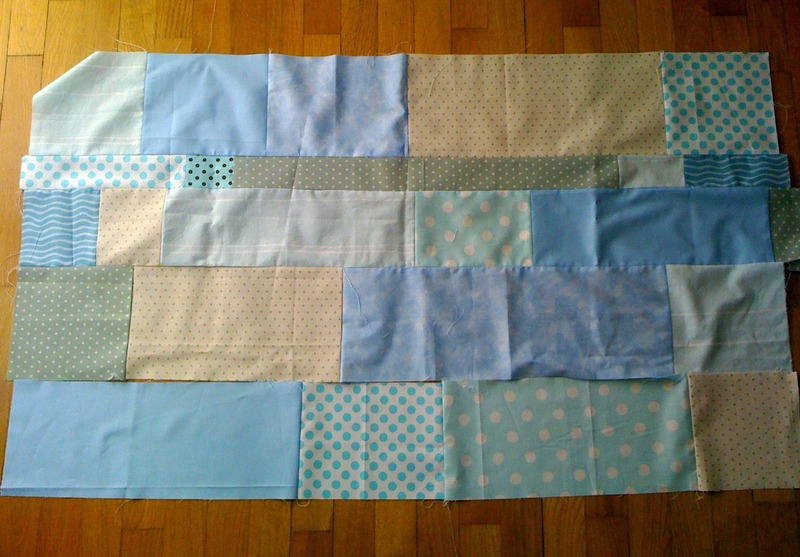 Looks great, I'm working on my very first quilt. The quilt is looking great. Love the little puppy, so cute! Crocheting isn't that hard, knitting is harder but not a ton. I'm sure that you would be able to do both just fine. My Mom taught me to crochet when I was a kid, it's fun :) That pillow is pretty cool! Hi Eleni! Great projects! 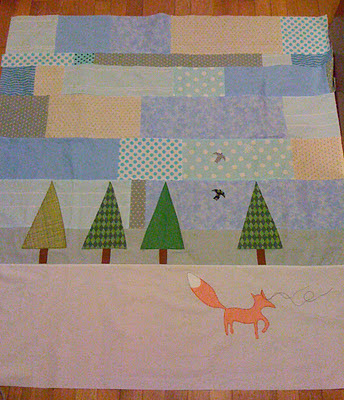 I love that quilt - always 'pictures' in quilts are so exiting and your fox is really cute! Also I'm happy to hear about your new order! That fabric book looks so sweet, waiting to see how you finish it! I haven't made pouches with the frame but I like to use them. Enjoy your sewing! We have sun today. How funny that all the summer we miss rain but after few days we already miss again sun. That is going to be an awesome quilt, the fox is so, so cute! I love your projects. I can't wait to see how using the purse frames works out. 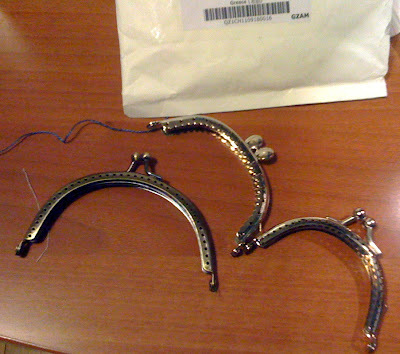 I've been wanting to try them, but a little nervous about it. 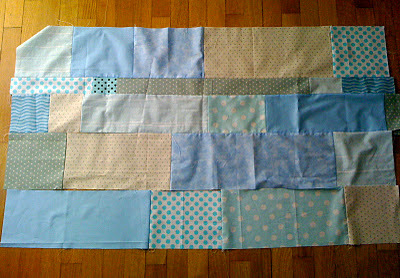 Darling little quilt you are working on! Love that little fox! Fox=love! Your quilt is going to be amazing. I'll be back to see more of it! Eleni ,your are so talented!You are such a happy person and this shows in everything you make.Knowing how life is hard in Greece and so desperate they've made us( politicians I mean)-I live in this country myself-I do understand you have found a warm "shelter" in sewing.Continue your efforts dear Eleni.You are the best.